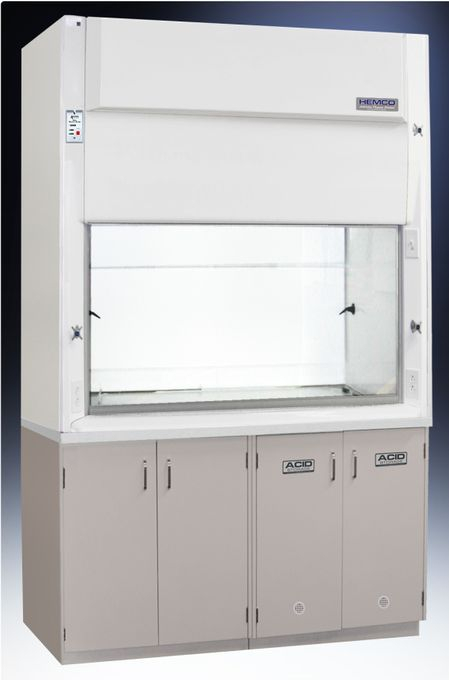 UniFlow HDPE Acid Digestion Fume Hoods feature a one-piece fume chamber with integral reinforced work surface, and baffles constructed of High Density Polyethylene. 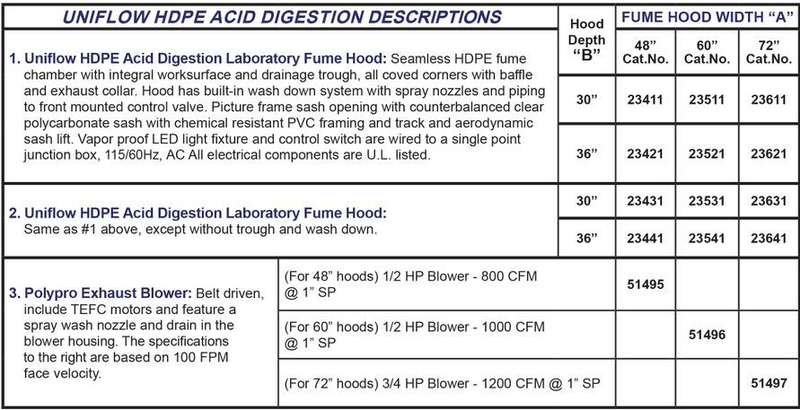 Digestion hoods come in 48”, 60”, 72” widths & feature a dedicated wash down & exhaust system. 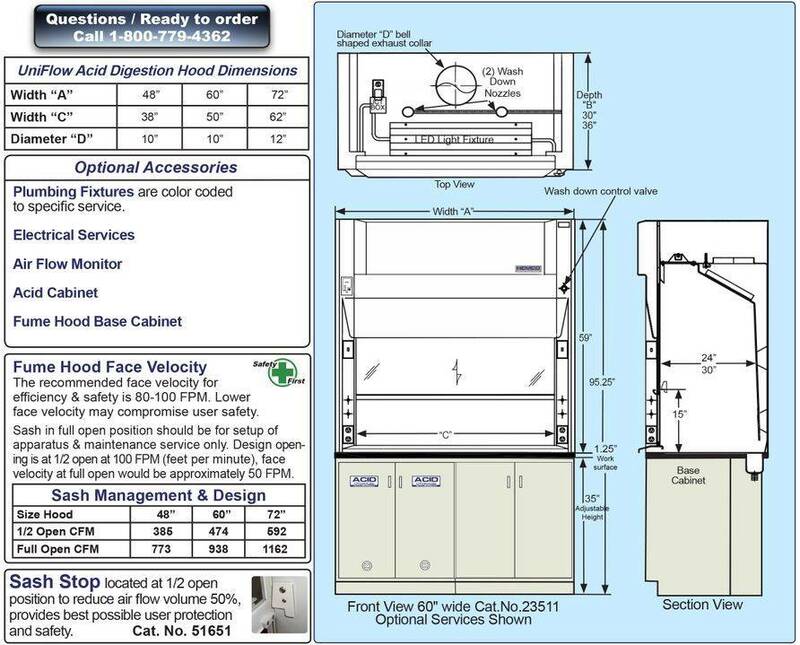 HDPE Worksurface is welded integral to the fume hood superstructure and dished to contain spillage and includes welded in rear drain trough. If a sink is required HDPE would allow the sink to be welded in.